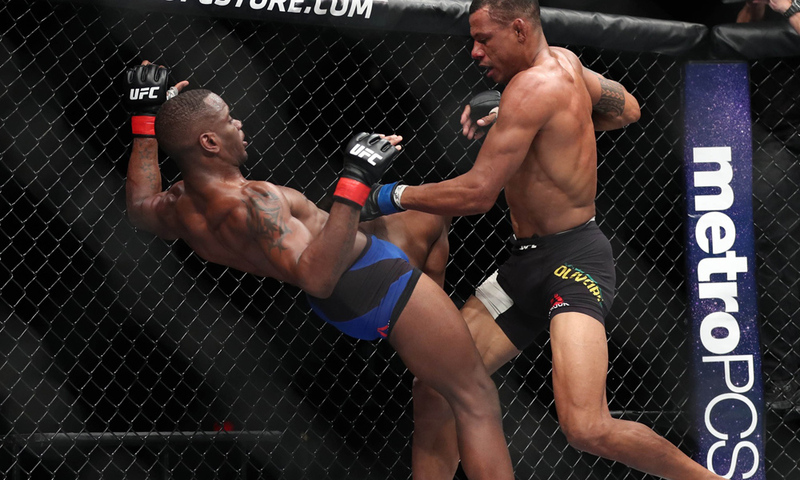 MMA Ratings: UFC Fight Night 121: Where Does Will Brooks Go From Here? UFC Fight Night 121: Where Does Will Brooks Go From Here? One of the UFC's biggest free-agent signings in recent memory came in mid-2016, when the promotion inked former Bellator MMA lightweight champion Will Brooks to a free-agent contract. Brooks gave up his lightweight title to come to the UFC, saying at the time that his goal in the sport was to become the UFC Lightweight Champion. With his 18-1 record, including an impressive 10-1 mark in Bellator, at the time the UFC's signing of Brooks was a big deal. Bellator had signed a number of the UFC's fighters to free-agent deals, but Brooks was one of the few Bellator fighters the UFC signed, along with Eddie Alvarez. With back-to-back wins over Michael Chandler to win the undisputed lightweight title, and then title defenses over Dave Jansen and Marcin Held, at the time Brooks was universally ranked as one of the top 10 lightweights in the world, and the move to sign him was universally praised. In his UFC debut, the matchmakers smartly gave him a winnable fight against TUF veteran Ross Pearson. Though Pearson is "tough," he's also very beatable, and it wasn't surprising to see Brooks edge out a decision over him, as he was the favorite going into the fight. It wasn't the most impressive victory, but it was still a solid win in his UFC debut, and enough to move him up the ladder. 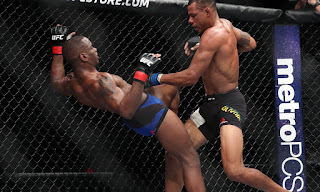 For his second UFC fight, the matchmakers gave him Alex Oliveira, an underrated but beatable opponent. On paper it looked like a favorable matchup for Brooks, who was the favorite. But Oliveira missed weight and came in at 161.5 lbs for a 155-pound (plus an extra pound since it wasn't a title fight) lightweight bout. Despite a large weight discrepancy, Brooks took the fight anyway, and was given part of Oliveira's purse for doing so. 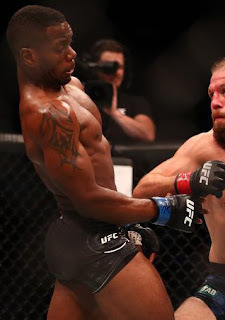 The fight did not go well for Brooks though, as Oliveira's size advantage was evident and he used that size to wear Brooks down and eventually finish him in the third round by knockout. It was a bad loss for Brooks, but due to how badly Oliveira missed weight, most fans gave him a pass on his performance. Brooks was then given Charles Oliveira, a former featherweight who was moving back to 155 after having trouble making the weight. Once again Brooks was the favorite to win the fight, but once again he lost, getting submitted by a standing rear-naked choke. The loss dropped Brooks to 1-2 in the UFC, and put him at risk of the dreaded three-fight losing streak, which is usually a recipe for disaster. For his fourth UFC fight, Brooks was matched up against Nik Lentz at UFC 216. Lentz is a solid veteran, but someone who can be beaten. Once again one of Brooks' opponents missed weight, as Lentz couldn't make 155, and the fight was scrapped and re-booked for UFC Fight Night 121. This time, however, Lentz made weight and the two faced off with Brooks again being the favorite to win the fight. And once again he lost, tapping out to a Lentz guillotine choke in the first round, dropping his UFC record to a poor 1-3 mark in the process. With a contract that pays him $50,000 to show and another $50,000 to win, Brooks is one of the more highly-paid lightweights in the UFC, and to the promotion's brass, he has not been worth the investment so far. With a 1-3 record, Brooks has not proven he is an elite lightweight, and in many ways he has been exposed, since he's been finished in three straight fights. It's fair to say he's had some bad luck as far as his opponents making weight goes, but overall his performances inside the Octagon have been poor, and it's fair to question what his next step should be. It's possible Brooks gets another fight in the UFC, since to be fair to him he has been fighting solid competition, but considering his salary, it would not be surprising if he was cut. If that happens, you have to wonder if Bellator would even want him back after he unceremoniously left the promotion. If not, perhaps RIZIN, ONE FC, or the Pro Fighter's League would be interested. You have to respect the fact that Brooks gambled and left Bellator as the champion to go to the UFC and try to win the belt there, but his stint in the UFC has been terrible so far. Brooks is still only 31 and has time to turn his career around, but there's no certainty that's he'll get the chance to do so in the UFC. It's certainly going to be interesting to see where he ends up next, but it's fair to say he's been one of the UFC's biggest free-agent busts in a while.